Want Waterfront? Look No Further. Coomera Quays Is The Place To Be! Description: Beautiful family sized home with neutral tones throughout guarantee a relaxed and spacious feel, with air-conditioning for extra comfort. Maximising abundant natural light, this family residence has been created to meet the highest standards of modern family living. An alluring combination of contemporary elegance and free-flowing spaces fills the home with energy. Cleverly designed over two storeys to capture peaceful views, this home showcases open plan living and dining at its best. 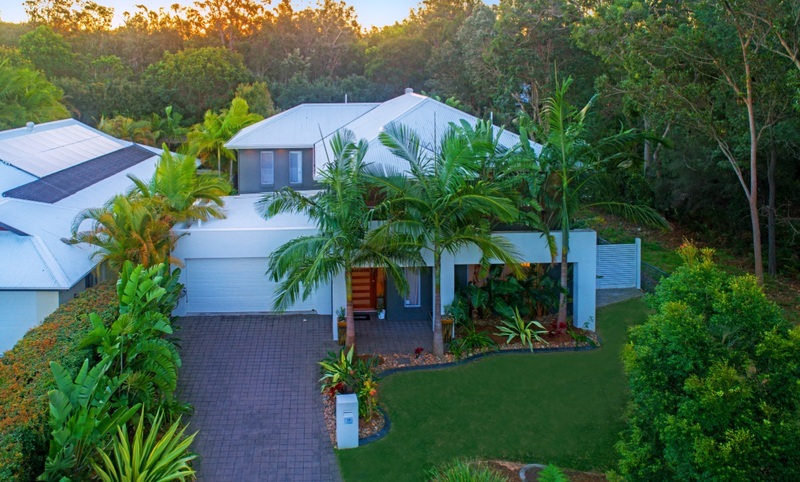 Privately positioned down a quiet, tree-lined street, this residence offers resort style exteriors on a massive flat block in lovely Coomera Waters. The home enjoys spacious tiled living areas with fabulous outdoor entertaining, large sun drenched bedrooms and a warm and inviting feeling throughout. Huge, spacious master bedroom with ducted air-conditioning, creates an oasis you can escape to with ease. The child and pet-friendly backyard is fully fenced with plenty of off-street parking including SIDE ACCESS with room for a caravan and or boat.